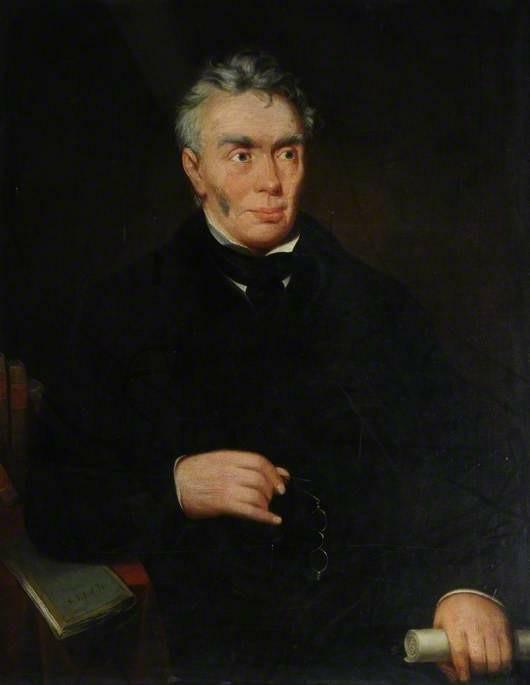 Often remembered more for his political opposition to the Corn Laws rather than as a poet, Ebenezer Elliott was born in Yorkshire in 1781. He would grow up to own a factory at the start of the industrial revolution would be declared bankrupt and register his discontent with the lot of the common man through his poetry. His father was intensely religious, a Calvinist with a reputation for fire and brimstone sermons, but his mother often suffered from poor health, something that she seemed to pass onto her son. Elliott himself suffered from small pox at an early age which left him with enduring health problems as well as a pock-marked face. Elliott’s education began in a dame school before he went to Rotherham and Hollis School where he was actually considered to be someone with little academic or intellectual ability. Whilst that led to him preferring not to attend school, he did begin to educate himself and started to read extensively from about the age of 14. The next seven or so years found Elliott working for little or no money in a foundry owned by his father but it was about this time that he discovered that he had a love of nature, a certain skill in drawing and a modicum of success in writing poetry. 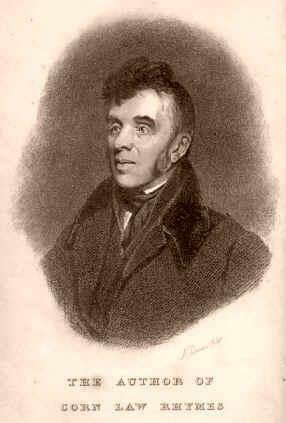 His first poem was written around 1798 when he was in his late teens. 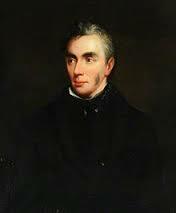 Vernal Walk was highly imitative of the writers of the time and he wrote to the likes of poet Robert Southey for advice on getting his work published. This began over twenty years of correspondence where Southey actively encouraged Elliott in his writing endeavors. His early poems such as Second Nuptials of Night received poor reviews but Elliott worked on his style and began to get more creditable responses from the critics, particularly with his collection Tales of the Night. Fortunately Elliott did not have to live on the proceeds of his writing. 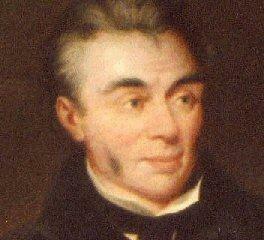 In 1806 he married into money and used that to buy his father’s iron works. 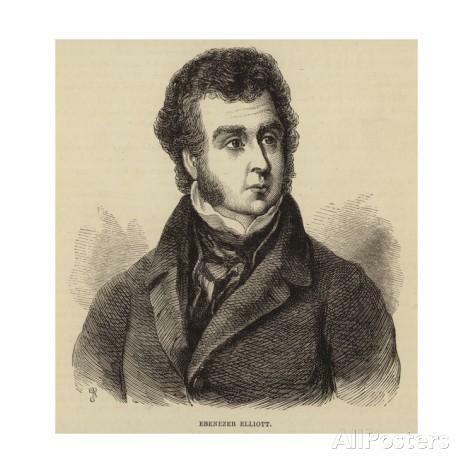 The business was in dire straits though and in 1816, Elliott was made bankrupt and blamed it on the corn laws of the time an injustice that led to him becoming more political and imbuing his poetry with more anger. 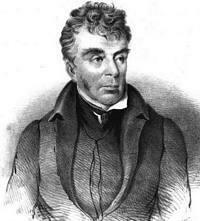 Elliott began working on the reform of the Corn Laws in Sheffield and his verse produced during this time earned him the moniker of the Corn Law rhymer. 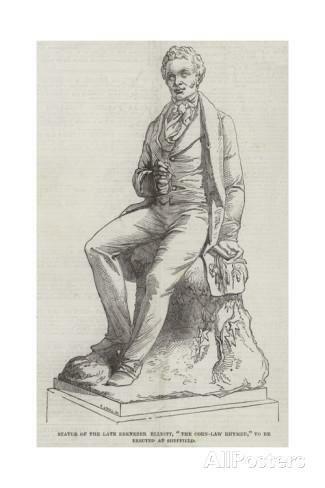 His poems, both long and short, published around 1830 were highly popular with the working poor and they went on to be reproduced in both the United States and France where they were also a great success. Elliott went on to make and lose money over the years but managed to end his life in fairly comfortable circumstances. He lived long enough to see the Corn Laws repealed in 1846, dying a few years later in 1849 at the age of 68. 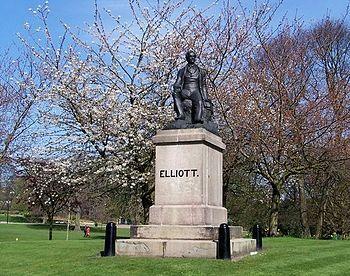 On news of his death, a number of well-known poets wrote eulogies to him and a statue was erected to his memory in Weston Park in Staffordshire.